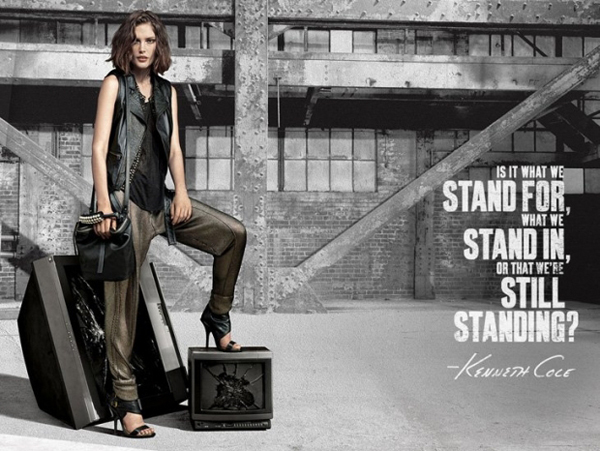 Elegant, contemporary and edgy, this Spring Summer 2013 fashion collection by Kenneth Cole is an ideal way to make a statement with your looks. 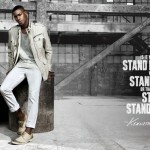 For this warm season the popular fashion brand offers a myriad of the versatile clothing that not only keeps up with the latest trends, but also brings an allure of sophistication and modern twist to it. 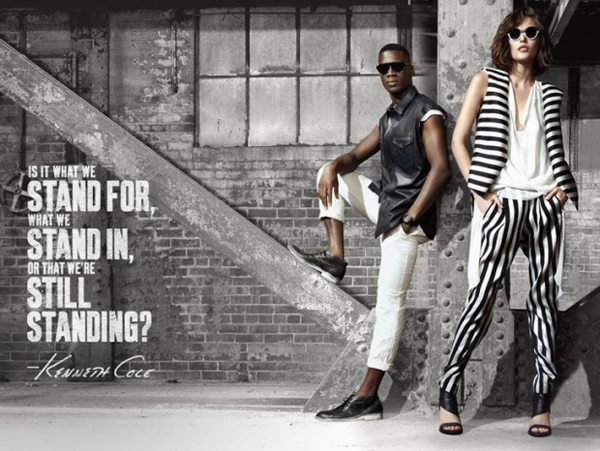 The garments from this Spring Summer 2013 collection are perfect for making up the stylish looks with chic and edgy feel. Besides, the darker color palette will add a mystery to your outfit and make you stand out from an abundance of the bright hues and bold prints. 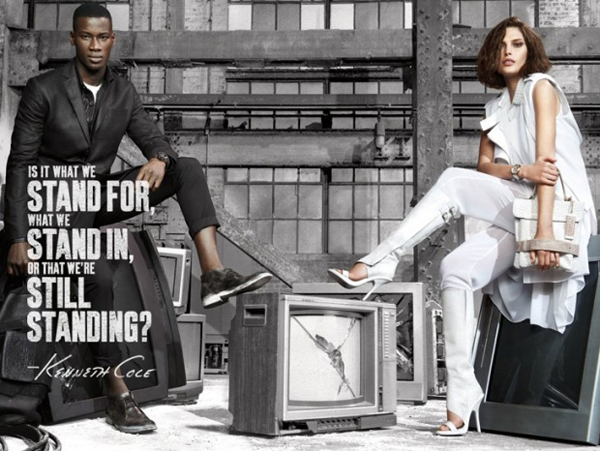 This Kenneth Cole Spring Summer 2013 campaign features beautiful Catherine McNeil and David Agbodji that were captured by the lenses of Sharif Hamza. 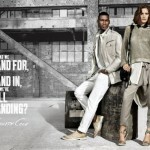 Even though there is no a diversity of shades, you can still benefit from the range of clothing. This collection could be characterized by the original textures, stylish cutout and inimitable edgy feel, which make it look modern and chic. 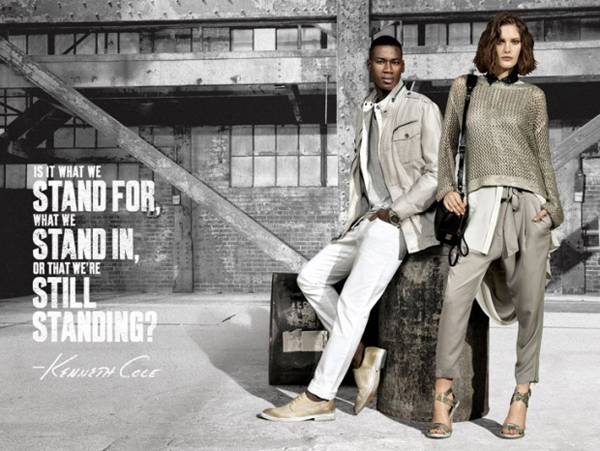 Metallic accents, which appear in this Spring Summer 2013 campaign by Kenneth Cole in the subtle way, bring a sophistication and glam allure that is never out of fashion. 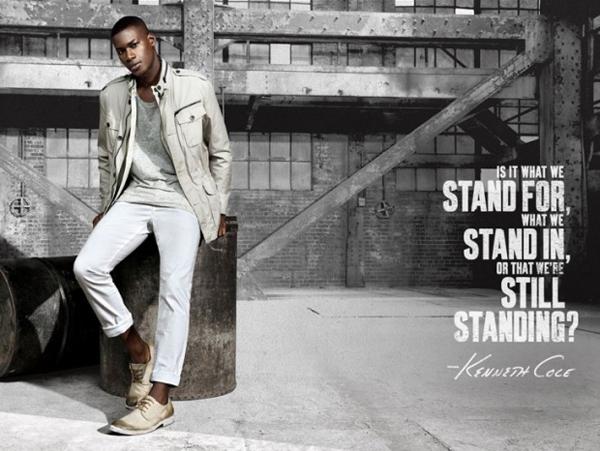 It is important not to overdo with the shining textures and keep the right balance owing to the simple lines and Kenneth Cole followed this principle the best way. However you shouldn’t belittle the role of accessories, which remain the essential elements of any look and add an interesting twist to the look. 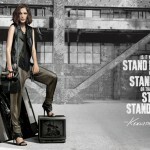 In the accessory line Kenneth Cole decided to make an accent on the sexiness with edgy vibe. Striking monochrome sandals, stylish watches that already became the signature element of the brand as well as the handbags of original style and fabulous eyewear are there to enhance your look and bring a touch of class and elegance to it.